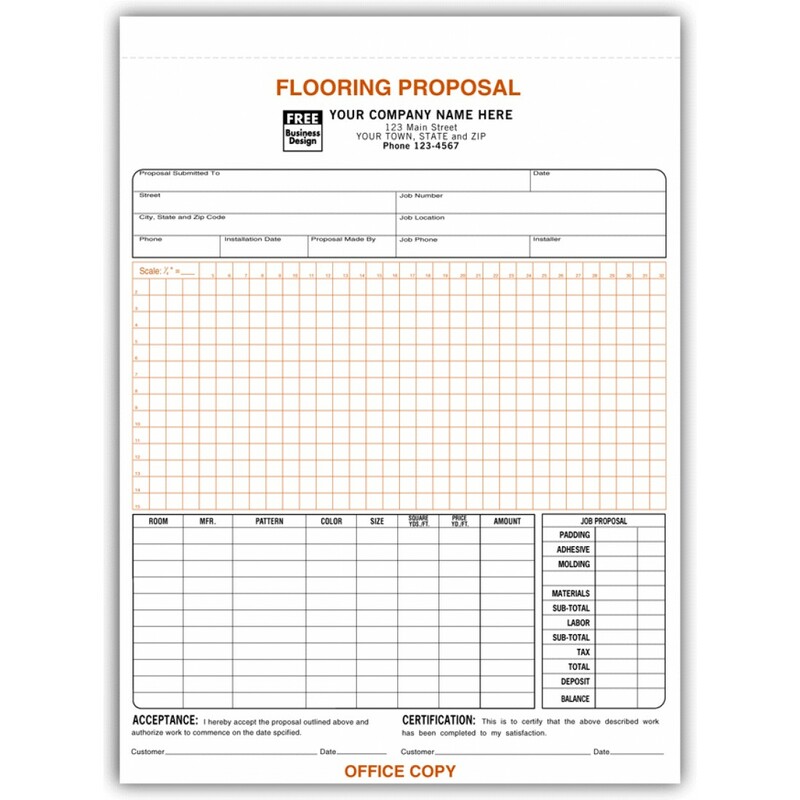 Flooring Proposal Forms with Signature 265 At Print EZ. Flooring Proposal Forms with Signature Item No. 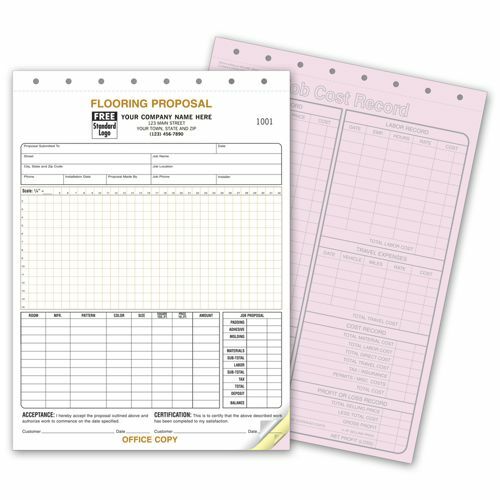 265 Size: 8 1/2" x 11"
Developed especially for floor laying firms, these flooring proposal forms with signature section are the best bet when looking to save time and effort. Pre-printed with a clear grid, these forms can be used to note down all the details of the job and map them out for greater clarity. Details of the job and the client are also well covered in these forms. With everything noted on one form, it works perfectly for the data entry team. Signature space for both acceptance and certification, helps to keep things clear with the client while also inspiring faith in him/her. One form, but with many facilities.